Contact us at 888-864-7786 for more information. The most cost-effective paging speaker on the market. Perfect for schools, universities, the SMB, or anywhere there is a need for mass communication on a limited budget! Use the Multicast Speaker (011458) in multiple ways: with an IP PBX server or VoIP phone that supports multicast, with CyberData’s SIP Paging Server with Bell Scheduler, or with CyberData’s Multicast Microphone. 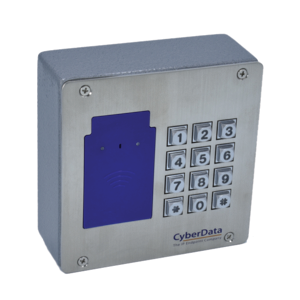 CyberData’s SIP-based access control endpoints use existing VoIP network infrastructure to securely unlock and lock gates and doors. PoE-powered and neatly encased in a secure outdoor-rated case. Choose the device that best fits your needs: keypad, RFID, or RFID with keypad. 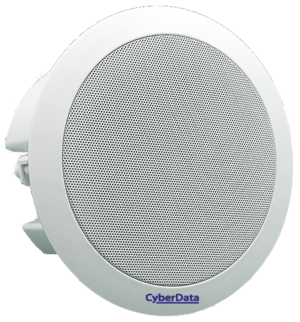 CyberData’s extensive line of audio & video outdoor SIP-enabled intercoms deliver two-way communication and secure access control of your VoIP phone system. Perfect for a multitude of settings, including residential facilities, schools & universities, retail businesses, warehouses, garages, and more. 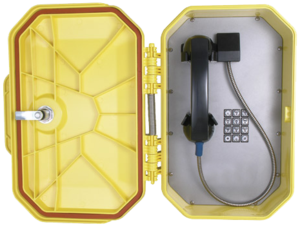 CyberData’s new line of PoE-enabled SIP ruggedized phones combine the benefits of VoIP with a rugged designed phone, built to withstand hard environments such as extreme temperature, bad weather, and vandalism. Ideal for oil rigs, shipping ports, large campuses, subway stations, highways, tunnels, and similar settings. It’s easy to seamlessly integrate Yealink UC devices with CyberData solutions to create a complete system. Yealink phones, like the T46S, can integrate with CyberData bells, intercoms, and paging systems to create a multicast paging security solution. 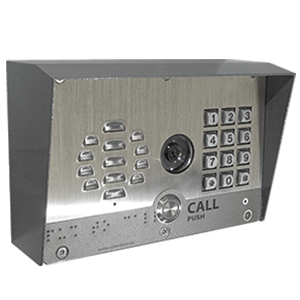 The Yealink T58V Smart Media Phone can sync with a CyberData outdoor video intercom, allowing you to view who is at the door from the comfort of your own desk. Stay up-to-date on all the latest CyberData products, tutorials, and news. Implementation of CyberData’s innovative and cost-effective IP paging and access control peripherals in a typical manufacturing plant.